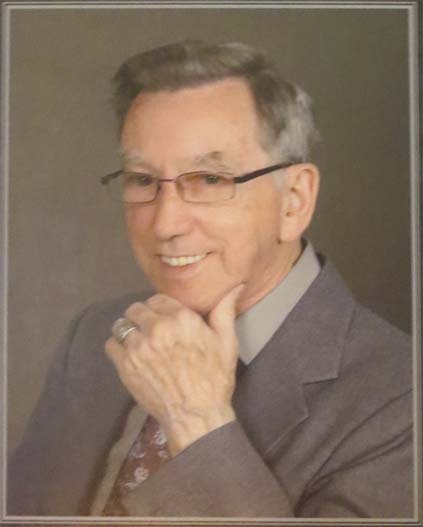 Dayle E. Silvus, 88, of McConnelsville passed away at 11:25 a.m. Sunday, January 6, 2019 at the Genesis Hospital in Zanesville. He was born August 1, 1930 in Hackney to the late Edwin Dye Silvus and Mildred Devitt Silvus. Dayle was a 1950 graduate of M. & M. High School and was an Army veteran of the Korean Conflict. He had worked for Lovell's Clothing Store and Lloyd's Clothing Store in McConnelsville for many years. He was a charter member of the M. & M. Jaycees and was a member of the Grace United Methodist Church for over 65 years. Dayle was also a member of the Morgan County Senior Citizens and was an avid M. & M. Big Reds and Morgan Raiders fan. He had worked at the Ben Franklin Store and at various local businesses through the Morgan/Washington County Community Action Program. Dayle loved Malta, McConnelsville, and Morgan County and was loved in return. He enjoyed visiting local nursing homes with his church group. He is survived by two sisters, Sara Harper of McConnelsville and Wendy Jo (Danny) Ray of Malta; a brother, Rufus (Patty) Silvus of McConnelsville, and several nieces and nephews. In addition to his parents, he was preceded in death by two sisters, Dorothy Wilson and Betty Maloney; and a brother, Norman Neal Silvus. Calling hours will be Tuesday, January 8, 2019 from 4-8 p.m. at Miller-Huck Funeral Home in McConnelsville. A funeral service will be held at 1 p.m. Wednesday, January 9, 2019 at the funeral home with Pastors Lee Ann Dunlap and Galen Finley officiating. Dayle will be laid to rest in McConnelsville Cemetery with military honors provided by the American Legion Post #24 Color Guard. Memorial contributions may be made to the Grace United Methodist Church in McConnelsville.